You save 17% that's £40.00! Width 90cm, Height 182cm, Depth 33cm. 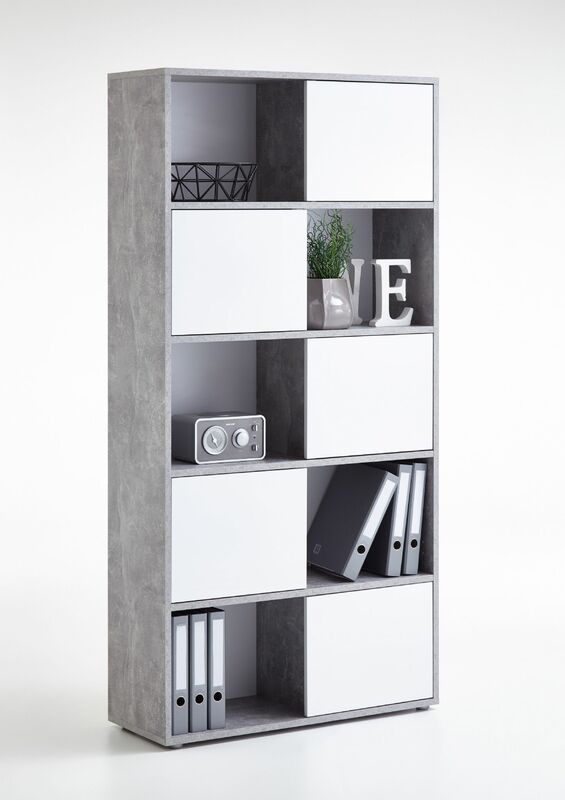 Large white and concrete grey bookcase with doors. Perfect to use in any room modern concrete grey and white combination. The doors on this bookshelf can be set out as required or left out completely. 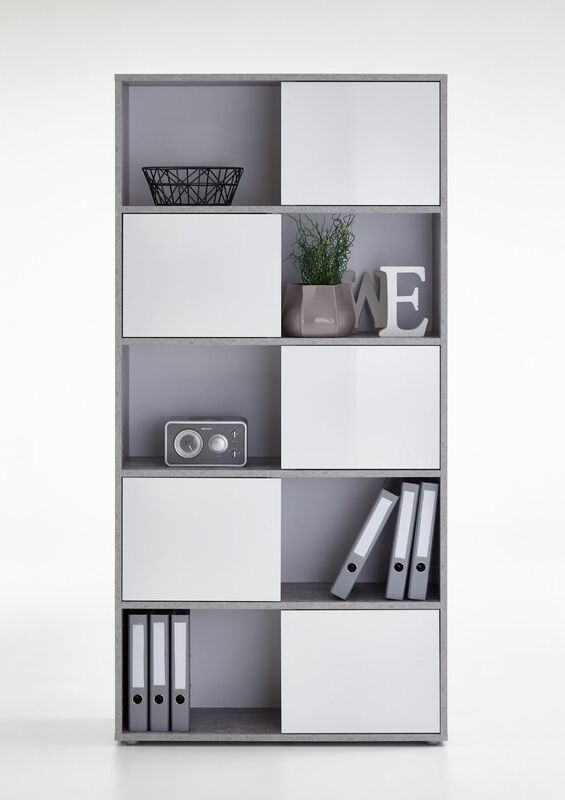 This shelving unit will also hold lever arched files and is suitable to use in an office or home. Other matching furniture in concrete grey effect also available.